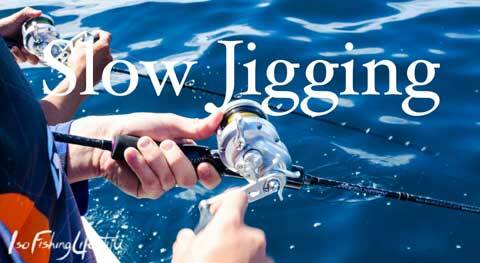 Slow-Pitch Jigging; so what’s it all about? Well this time around the wonderfully inventive guys from the Land of the Rising Sun have really come up trumps by creating a totally new alternative to the present day style of Vertical, or as is sometimes known, Speed Jigging. Speed Jigging can be an amazingly effective method of catching fish, it’s exhilarating, exiting, damn good fun and oh I nearly forgot to mention, pretty darn exhausting. There are however times when fish chose to take a more leisurely approach at mealtimes, not always willing to chase a speeding prey but instead more content to laze around in wait of an easier prize; some Demersals feed this way naturally. 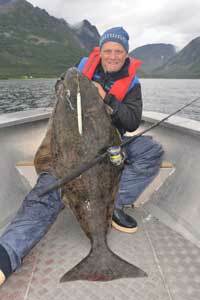 So how can we try and entice a bite when the fish are in this kind of mood? 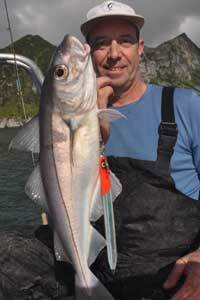 The answer is to present the lure in a different way and that’s precisely what Slow-Pitch Jigging is all about. Let me try and give you my interpretation of Slow Jigging by giving you a breakdown of the specific tackle used. The various shapes and styles of Vertical Jigs are created to impart differing actions but in short they are designed to drop fast and be worked with a fast retrieve, generalising I know but I don’t want to get too bogged down here talking about these more familiar Jigs. To just simply slow down our jigging technique most Vertical Jigs would remain fairly static in the water which is not exactly inviting to a predatory fish so the Jig design as well as the technique needed to be changed. The first thing to notice is that Slow Jigs are deliberately more Centre-balanced and flatter more on one side than the other to generate a much more erratic action and eliminate the need to be speeding through the water column in order to attract a fish. Instead the Jigs design demands a lot less effort from the Angler to be effective in the water though this is not to say that there is no technique required, quite the contrary and I will talk about this later. Slow Jigs can be broken down into roughly two categories, Slow Jerk and Fall with a few hybrids also available. Slow Jigs are shorter and sometimes fatter when compared to Fall designs that are more likely to be slightly longer and slimmer. There are plenty of different shapes and designs available from the many jig manufactures all falling under the banner of “Slow Jigging”; it’s a case of understanding how each individual jig performs and adjusting your technique to suit. The more erratic action of a Slow jig will sometimes cause it to become suspended in the water, sinking slowly as it flutters sending out signals similar to that of an injured baitfish; this is often when a predator will strike so remain alert and try to keep in touch with whatever is happening at the business end. Vertical Jigging demands an aggressive approach to get the jig moving the through the water as fast as you can while Slow jigging has a lot more finesse and is more about feeling and reading how the Jig is working. 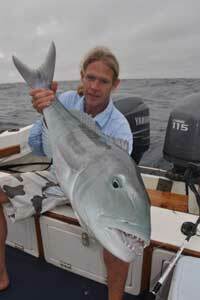 This is why the tackle used for each style has been so carefully refined to suit each method. For Slow Jigs to perform correctly they need to be matched to a specifically designed Rod that is equally Jig weight rated. A Slow pitch rod Rated to 120g will not impart the correct action onto a 200g Jig, sounds obvious but it is more critical that one would think with this style of jigging. The whole concept of rod design and Blank makeup is delicately matched for the best performance and the Japanese rod makers have got this nailed. I am not about to criticise manufacturers from other countries as some of these are very good also but JDM Rods take some beating. Obviously this comes at a premium price and may not fall within your given budget so don’t dismiss other manufactures just do your homework first. 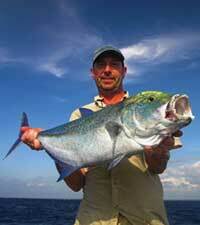 In shallower water of up to 60metres the demand from the rod is less critical than if fishing in 200metres. Slow Pitch Rods are extremely light, very thin and generally around six feet in length whereas High Pitch rods can be over seven feet. Although light and thin they are remarkably strong but it is important to understand that the rod is designed and balanced to work the Jig and NOT to fight the fish. We have to forget all about “pump and Wind” when playing a larger fish as most of the fight is played relying on the Drag from the Reel with a relatively straight rod pointed down. This allows us to use such delicately light Rods. Naturally a heavier rated rod will have more backbone than a lighter rating so in some instances it will be possible to let the rod take some of the strain. The preferred Reels for Slow Jigging are without a doubt Overhead Reels; they allow you more instant jig control especially when the jig is on the drop or static which is often when a fish will strike. 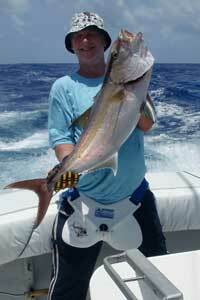 Slow Jigging can still be performed using a Spinning Reel, it is just a little more difficult to maintain a direct contact with the Jig at all times. There are many purposely designed Reels on the market that are up to the job but try to chose a narrow spool version and fast retrieve 6.0:1 if possible. Match the lightness of the Rod to a Small Reel but ensure it has a sufficiently strong drag system remembering the demands of the reel when playing a fish. This is where a lot of people compromise, and they shouldn’t! When using such delicate sensitive Rods it is imperative that you remain in direct contact with the Jig to feel for its every movement and ensure it is performing correctly. 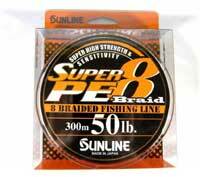 Slow Jigging requires a High Quality relatively low PE rated Braid, preferably X8 and PE1.0 to PE3.0. At this point I’m not going to go into the vast complexities regarding different Braids nor am I about to enter the mind boggling world that is PE. Needless to say any quality braid will do the job; again I prefer the known Japanese brands that are becoming more readily available in the UK. 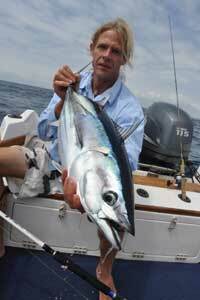 I’ve heard reports of Amberjacks to 30kgs and Dog Tooth Tuna to over 40kgs all caught using the Slow Jigging tackle on light PE line 20 to 30lbs. If you are unfortunate to have a powerful fish dive back to the Reef structure then we have to accept this could be game over but weigh this up against an increased Strike rate using a thinner line and I know where I stand. What is immediately apparent when using Slow Jigs is the different way in which they are rigged compared to a Vertical Jig. A popular setup is to attach a Twin assist Hook to either end of the Jig ensuring they cannot connect to each other. The Assists are connected at each end via a Solid and Split Ring and the top assist is slightly longer in length to the lower one. If we remember that Slow jigs are designed to act erratically much of the time of their own accord then it makes sense not to restrict this movement by adding swivels etc. Another tip is to make the top assist less flexible to reduce the chance of tangling up with the leader; this can be done by using a Fluorocarbon Cored Assist Line. There are many purposely designed Hooks available and I strongly suggest using them as they tend to be much stronger than similar sized hooks on the market. Commonest sizes; 1/0 and 2/0 but up to 6/0 for larger species. Where do I start? I suppose you firstly need to dismiss any of your vertical jigging techniques and think more about how to get the jig to do the work for you. The Slow Jerk technique can be broken down into a “Pitch”, being one lift of the rod from the five o’clock position up to the three o’clock position where you then hold and wait for the load in the rod to return to normal. 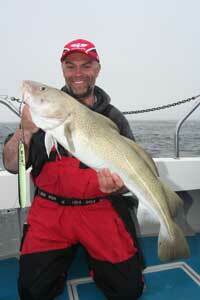 This is why it is important to use a rod that is matched to the Jig weight. During this Pitch you can vary your action to include anything from a quarter turn to a full rotation of the Reel handle; you can also change the speed at which this is done and sometimes extend the lift. All of the time it is important to feel for how the jig is performing and remember different jig designs will react in different ways. Once the Rod has returned to its park position, drop back to five o’clock and after a short delay, start the pitch again. By varying the speed and sequence of the pitch you will find out which method suits you, just ensure the jig is doing what it is designed to. As the jig falls some are designed to swoop from side to side whereas some are designed for a faster drop and some to lay and flutter its best to check with the manufacturer regarding a particular jig action. At this point in time it’s important to mention that the jig should be worked from a Vertical line. A large loop of line from rod to jig will result in very little jig action if any and therefore is a waste of time and effort. When currents make it hard to stay vertical or if fishing in deeper water it is often necessary to use a different technique known as “High Pitch Jigging”. This method requires a slightly longer Rod that has a harder action to achieve much higher and more aggressive “Pitch”. 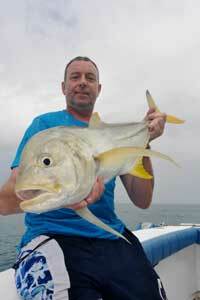 The aim is to impart a strong outward sweep of the rod to drive the jig into swimming horizontally. Then the jigs momentum is carried on by its design often inducing a strike at this moment. 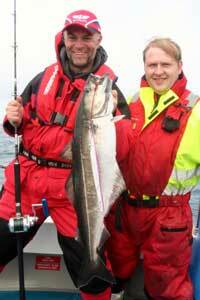 High Pitch Jigs are specifically designed for this style of jigging. 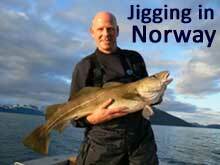 I know that I have merely skimmed the surface of Slow Jigging here but my aim is to try and simplify some of the basics without going too deeply into the complexities. This technique has spread rapidly across the world from Japan and is already popular in a lot of European countries where it provides a useful alternative at times when the fish are not so active. It is tailor made for UK waters because most of our resident fish are not such aggressive feeders when compared to their warm water cousins, preferring instead to feed on easier slow moving prey. It is also a lot of fun and a pleasurable way to fish because of the refined light tackle used, just look how LRF has impacted Light Spinning. 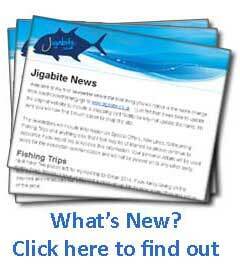 I hope that I have in some way at least dispelled some of the myths surrounding “Slow Jigging” so why not visit www.jigabite.co.uk and get equipped to give it a try.